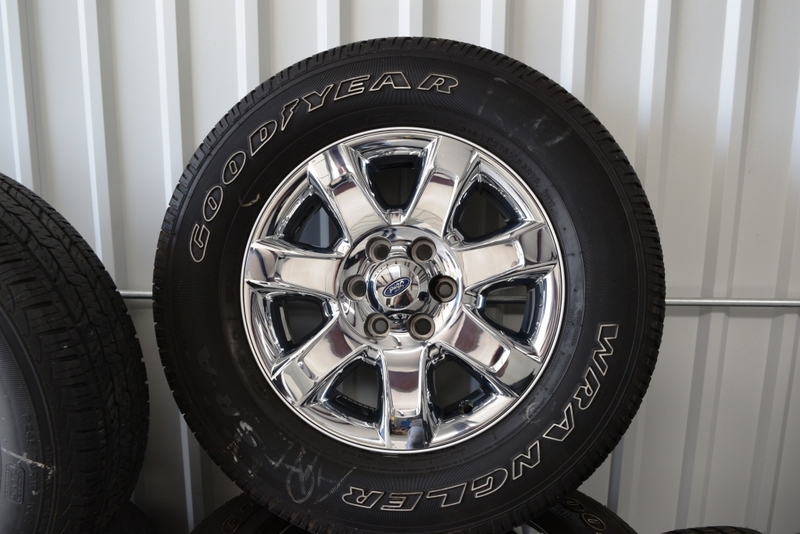 Ford Factory Wheels in stock Ford 150, F250 and F350 dually pickups. 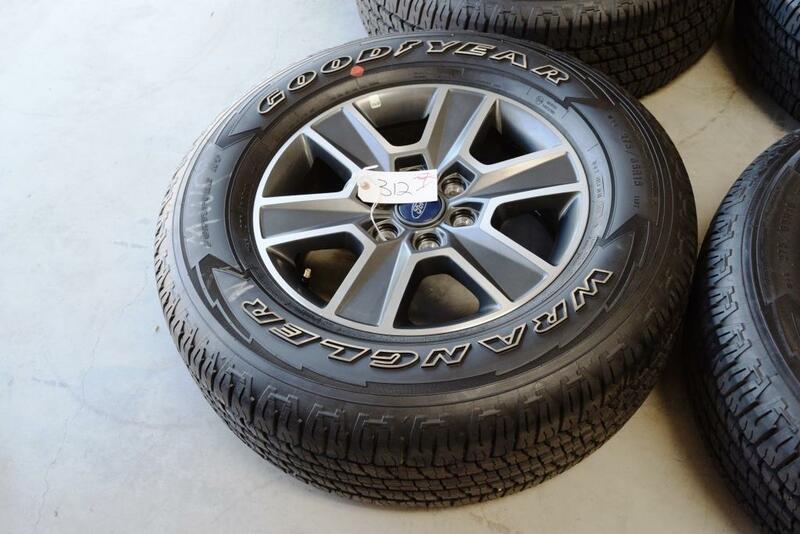 Ford Explorer and Expedition wheels and tire packages as well. We currently stock Ford F150 FX, Ford F150 Platinum, F150 Chrome 18 inch oem wheels plus Ford F150 17 inch wheels with Michelin tires. Ford F250 Platinum, King Ranch wheels in stock. 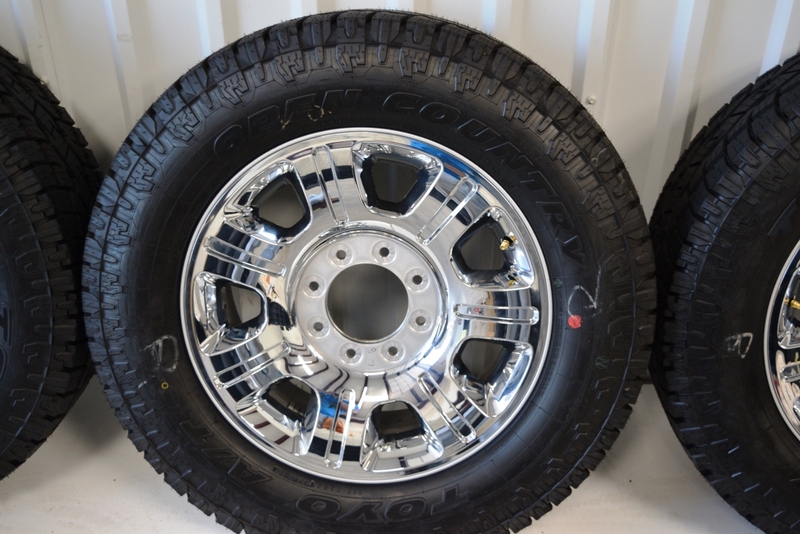 One last set of Ford F350 Dually King Ranch wheels and tires in stock currently. 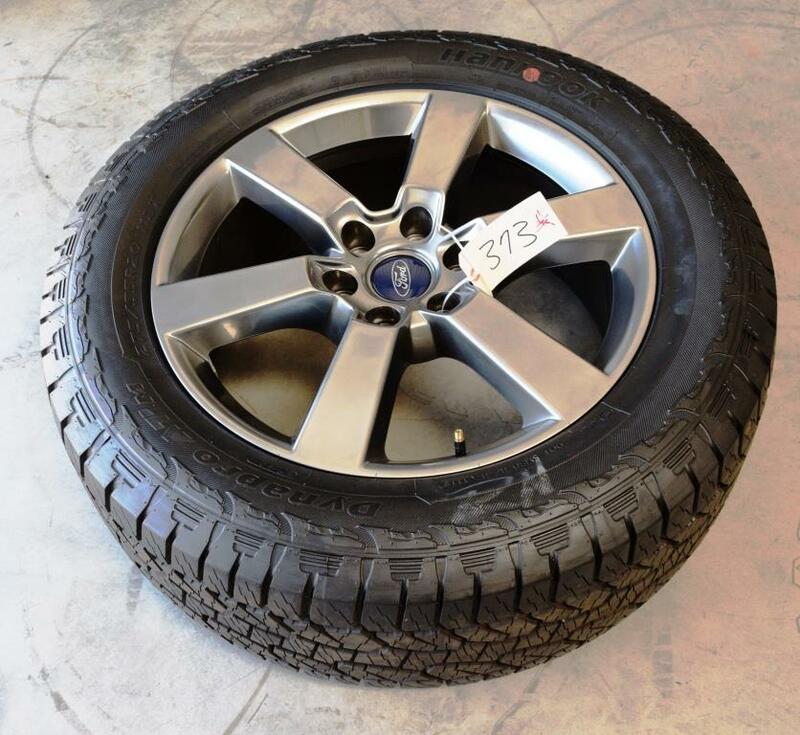 Please click a link below for information and to buy a specific wheels and tire package or click the shop now button to shop all Ford wheels and tire available. Ford F150 17 inch alloy grey wheels and Michelin AT tires. We current have one last slightly used sets on sale now. Fit most later six lug Ford F150 pickups from 2007 to 2016. Still have two tires with 12/32nds and two with 13/32nds tread left so at least 80%. Ford F150 Platinum 20 inch oem wheels and Hankook Tires. 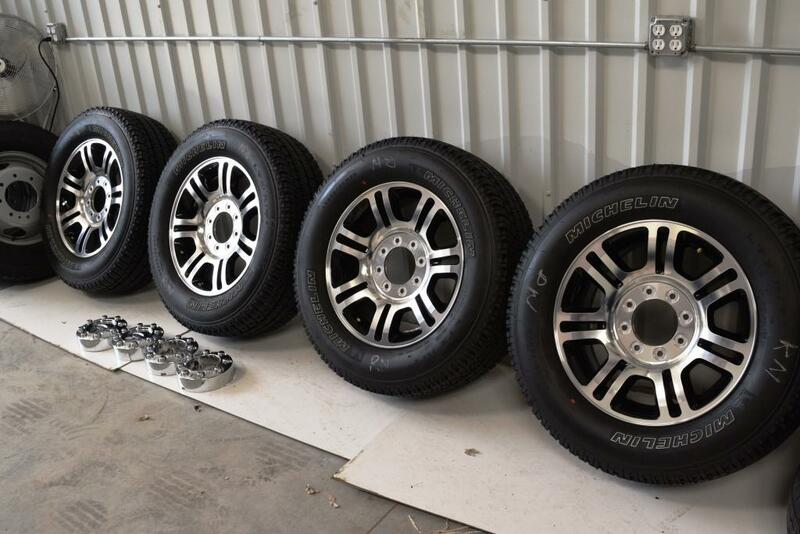 These are factory oem rims and fit most later model Ford F150 and Expeditions. 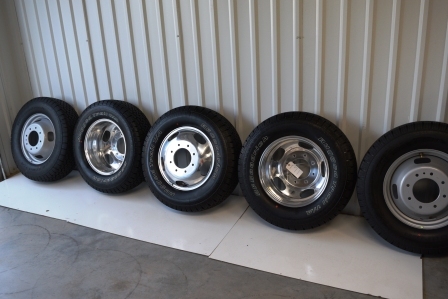 Used set of Ford F250 wheels and tires. Sold as is. Ford F150 PVD Chrome 18 Inch Wheels and Tires. These fit most late model Ford F150 pickups and Expeditions. 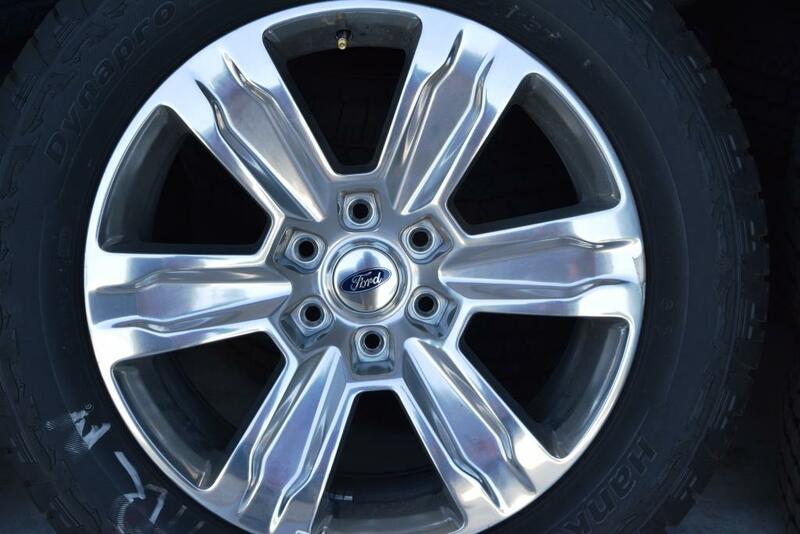 Ford F150 alloy 20 inch oem factory wheel. Spare replacement wheel only sold as is. Ford 18 inch oem factory chrome F150 and Expedition wheels and tires. Slightly used for sale as is. 11/32nds (2 tires) and 12/32nds (two tires) tread left or about 80%. 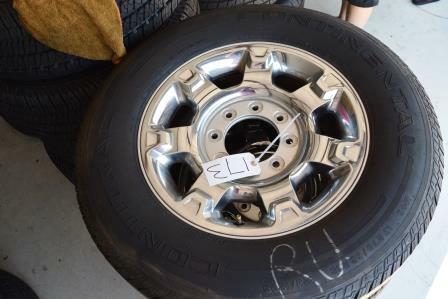 Older style Ford F150 FX grey 20 inch oem wheels and tires. 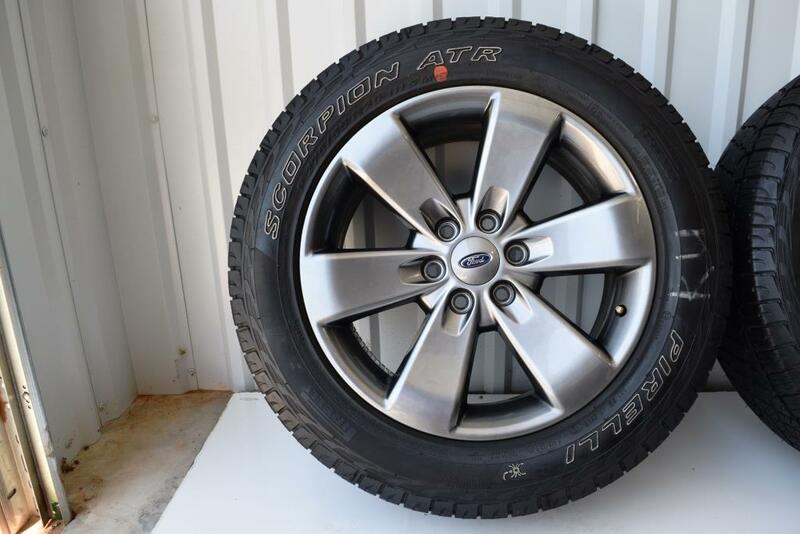 Ford 20 inch STX oem factory wheels and tires. Currently out of stock. 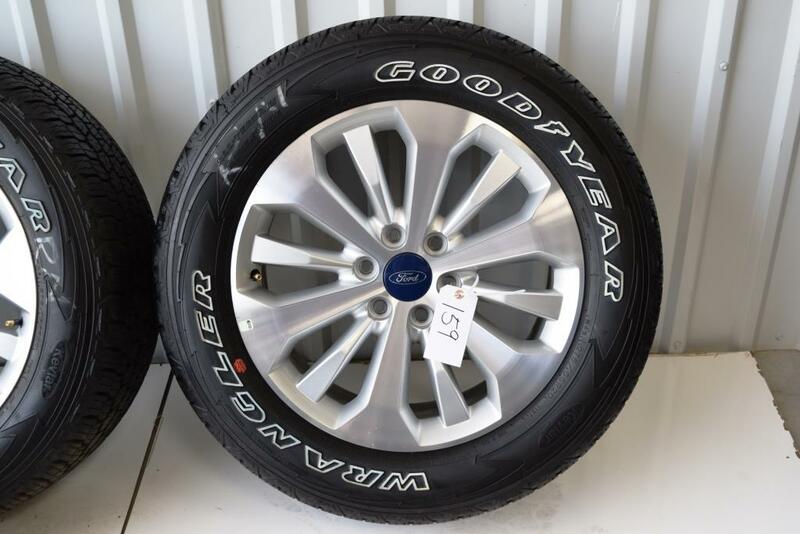 Ford 20 Inch alloy oem wheels and tires fits Ford F150 pickups and Expeditions. Currently two single wheels being sold as is. Ford F250 Platinum fits Ford F250 2011 to 2016 models. Currently out of stock. Ford F250 Chrome 20 inch oem wheels and tires. Currently out of stock. 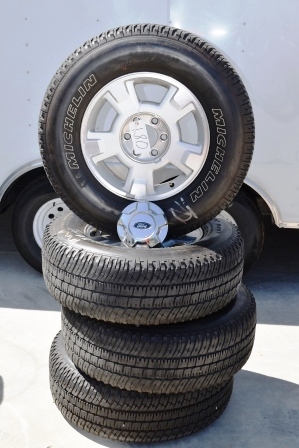 Ford F350 Dually Aluminum OEM Factory Wheels and Tires – Dealer Take offs from a 2015 Ford with King Ranch center caps.